Big GameCan You Have Too Many Deer? Consider that in my home state of West Virginia, deer are browsing ginseng to the extent that this wild herb is decreasing by 6 percent per year. That’s an obvious pathway to extinction. At the same time deer numbers were exploding we saw the rapid spread of chronic wasting disease (CWD), and high deer densities were linked to that spread. One aspect of this problem is exemplified by a Coopers Rock State Forest near Morgantown, W.V. That forest has been tremendously overbrowsed by deer. 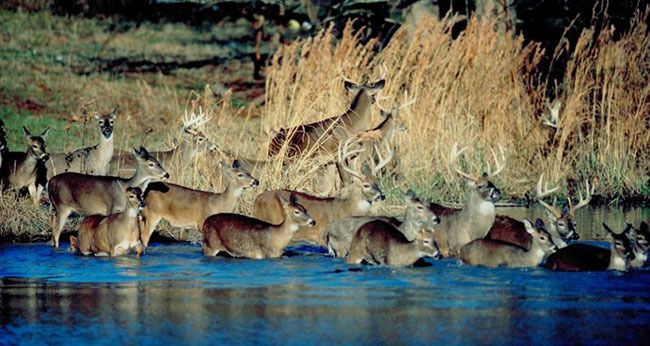 We know that forested habitats should only have 20-25 deer per square mile. At such densities, forests are healthy and deer are, too. There is no data for Coopers Rock, but my guess is that it only holds ten deer or fewer per square mile. With a few inches of snow on the ground, it’s possible to see several hundred yards in this forest, because there is so little ground cover. 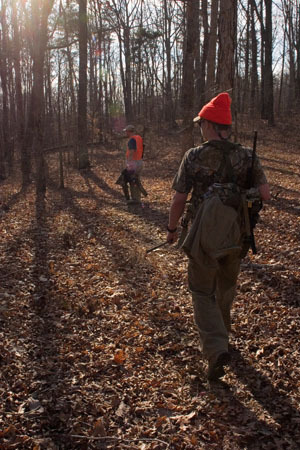 Few thickets, little food and little cover for deer —deer numbers are low because the habitat is so beat up.